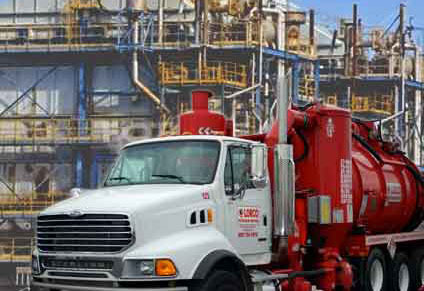 Lorco provides a variety of services to petroleum storage facilities, pipeline companies and refineries. These services include tank cleaning, separator cleaning and transport and disposal of petroleum-contaminated water. To schedule a no-cost, on-site evaluation or just to ask a few questions, please contact one of our specialty sales representatives.